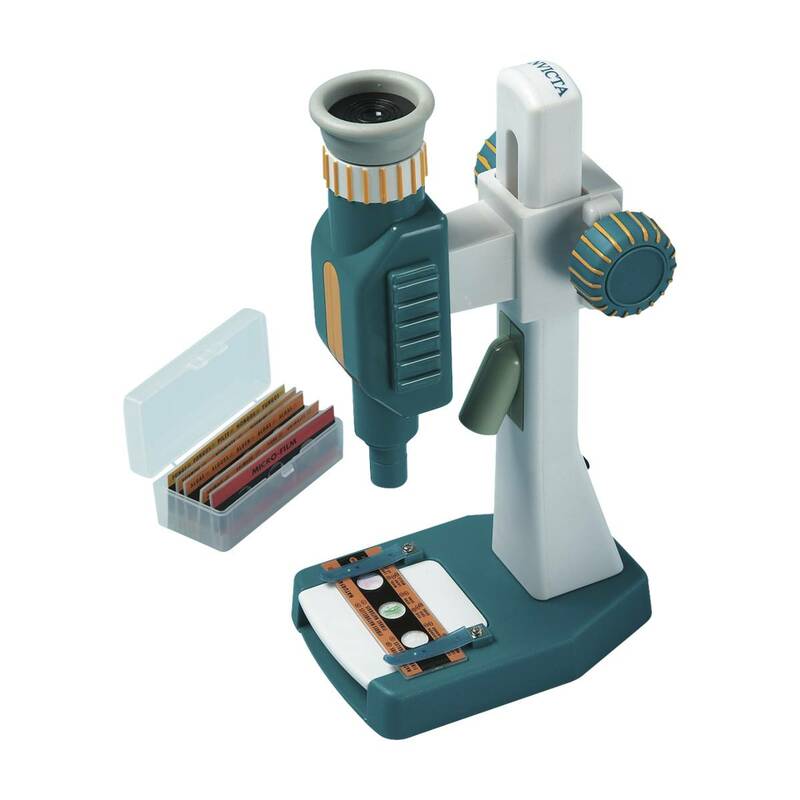 An ideal first microscope to introduce younger children to the concept of magnification. Tough, yet lightweight for outdoor use. Large controls, light and set of 6 made-up viewing slides. Batteries not included. 15" x 10" high.